Some of the best Blues from across the border. 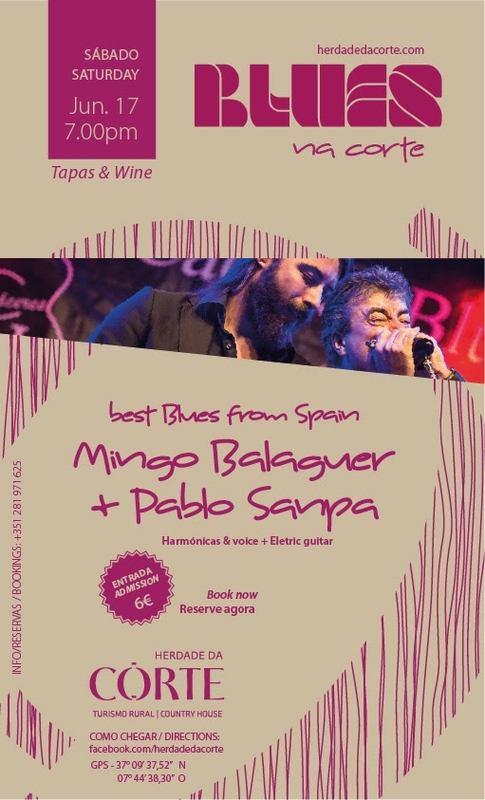 Spanish due Mingo Balaguer & Pablo Sanpa play live at Herdade da Corte. Mingo will sing for you and play no less than six harmonicas! Pablo will complete the Blues sound on his electric guitar.